Here are reference sheets assembled from student sketches for both of the main characters in Hemingway’s short. The students designed versions of each character, and then voted on the best elements from each. These sketches of mine are amalgamations of those choices. 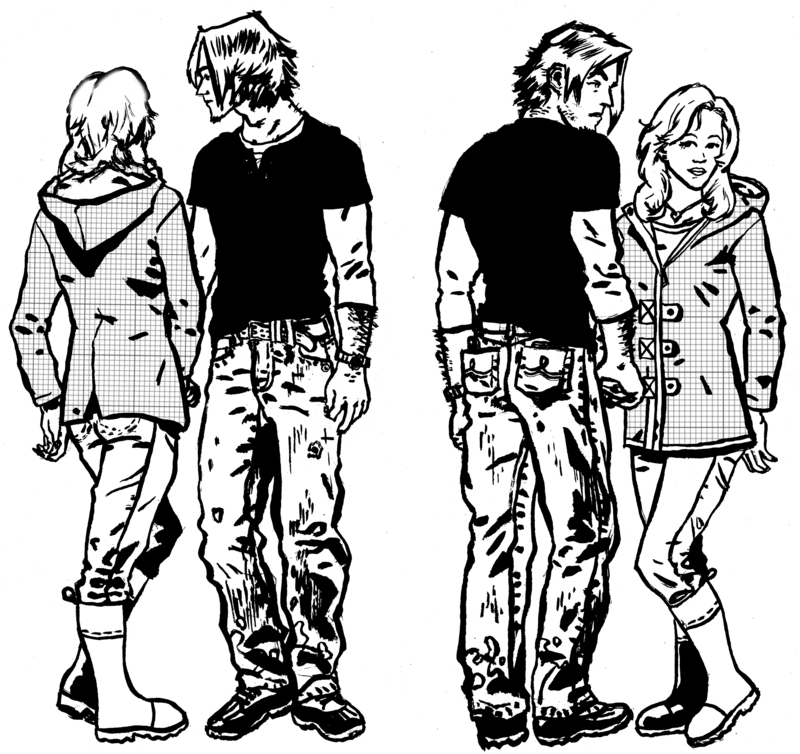 We decided to make the characters teens (admittedly, that was something of an executive decision on my part) given that the story can resonate on that early love intensity level now for you all. As you age, the story will take on a different dimension and pathos to match Hemingway’s middle-aged version of this tragedy. Though the meaning will shift somewhat in our version, younger is not meant to imply a tragedy any less profound. Nick’s final analysis of the relationship slices to the bone no matter what type of love preceded it. 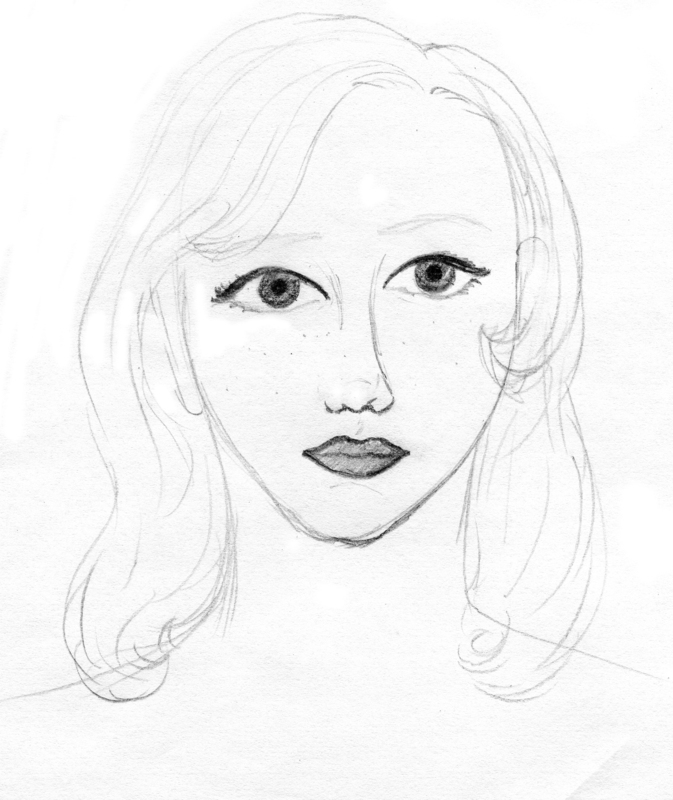 This next sketch is a closeup of Marjorie’s face. This is essential as it is very difficult to draw women this beautiful consistently. One line that is a bit too long or curved or misplaced will send the whole thing into an ugly tailspin. The key is the simplicity the artist captured. It has been said, (I wish I knew by whom) that every line on a drawing of a woman’s face adds five years. Given that we are dealing with a teen, it is vital to keep the line count as low as our reference shot. Beauty is subtlety. Focus on those almond eyes, the width of the lips, and the curve of the chin to keep the character consistent. The artist is left anonymous for legal reasons involving displaying the work of minors when teaching. If I can work out permissions, I will certainly give credit where credit is obviously due for a beautiful image.